XStudio - Is it Really Free ? 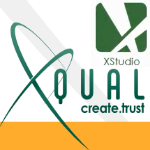 XStudio 2.3 (stable version) is out! Permalink Submitted by Yuval Ben-Hur on February 27, 2012 - 01:48.
" This QA tool is definitely complete in terms of test case lifecycle, very intuitive and probably more affordable compared to Qualify. It has indeed a dashboard and is available on SaaS. I bet it will meet your expectations, and perhaps more. " Permalink Submitted by jonathan on April 1, 2012 - 22:11.